HomeWater PurifierAn Eye-Opening Account of How Dr. Mahesh Gupta Built KENT RO Systems Ltd.
An Eye-Opening Account of How Dr. Mahesh Gupta Built KENT RO Systems Ltd.
What is the first brand name that comes to your mind when you look for a water purifier? It’s undoubtedly, KENT RO Purifiers. 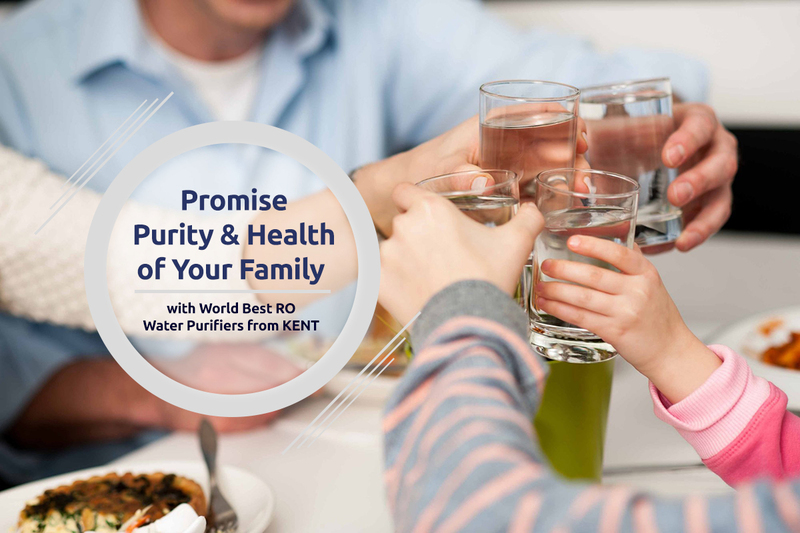 A leading name in the water purifier industry, KENT RO Systems Ltd., was the pioneer in introducing the revolutionary Reverse Osmosis Technology in India. 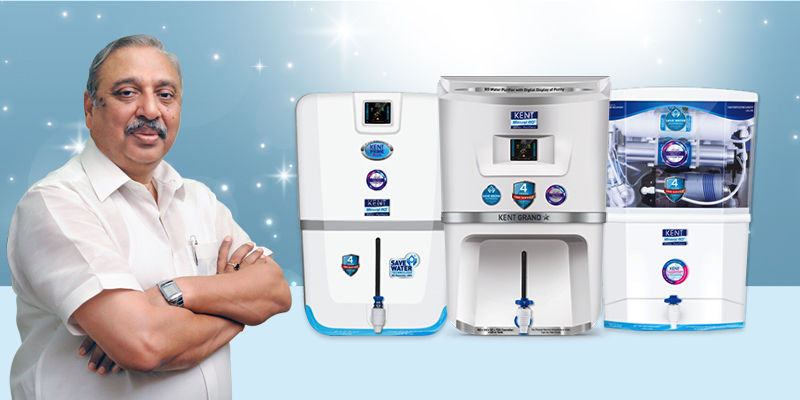 Founded in 1999, Dr. Mahesh Gupta put in a lot of efforts and hard work to the brand of water purifiers to all new heights. From a backyard business to a company with a turnover of about 830 crores, Dr. Mahesh Gupta put in a lot of efforts to establish KENT as a leading brand. It’s by fluke that Dr. Mahesh Gupta joined the water purifier industry and revolutionized it within a short span of time. Dr. Mahesh Gupta graduated from IIT Kanpur in 1975 and started working with Indian Oil Corporation as an engineer. Dr. Gupta always wanted to do something of his own and planned to work on oil conservation. He also started a small company in his backyard, SS Engineering, which focused on developing products that saved oil. So, what Led to the Invention of RO Water Purifiers? The introduction of water purifiers was more of an accident. When on a vacation, both the children of Dr. Gupta suffered from jaundice, all because of unhealthy drinking water. On a thorough research, Dr. Gupta found that the UV purifiers, which most of the people used in those days were not appropriate to remove dissolved impurities in water. This led to a number of research and experiments, after which Dr. Gupta designed an RO purifier at home by importing membrane and pump from the US. This is how the revolutionary idea of Reverse Osmosis water purifiers was born. Impressed by the product, Dr. Gupta decided to design more purifiers using the same RO technology. This was easier said than done. Many people were of the opinion that the purifiers were too expensive. However, some of the people who bought the purifier gave very positive reviews about the product designed by Dr. Gupta. Despite the positive feedback, the first year of operations of KENT was no cakewalk. After the launch of the company, he faced a lot of competition from some of the established brands. Lack of capital, problems with permits are some of the reasons why the journey of KENT RO Systems Ltd., has been slow. The company was growing slow which is the reason why by 2006, Dr. Gupta realized the importance of advertising and marketing the product. Considering the product, they needed a renowned personality, who was also a mother to be the brand ambassador of the company. This is when they decided to rope in Hema Malini for advertising and marketing purposes. Gradually, the entire nation recognized KENT as a renowned brand. This was also the year when KENT earned a revenue of ₹ 30 crores. Thanks to the determination and efforts of Dr. Mahesh Gupta, KENT RO has grown across the healthcare industry. Even after achieving immense success, Dr. Gupta still works hard and dreams big. Today, leading water purifier brand has manufacturing plants in Roorkee, Uttarakhand and Greater Noida, which was launched recently in a grand ceremony. The water purifiers from KENT also reduce wastage as they use an innovative Save Water Technology that retains more than 50% water as purified. In addition, KENT also provides a range of air purifiers and cooking appliances. To find out more about the journey of Dr. Mahesh Gupta, watch the video.